We have been at the forefront of improving quality in our VET mobility programmes by being involved in Leonardo da Vinci Partnership, Accompanying Measures and Transfer of Innovation projects and more recently in Erasmus+ KA2 Strategic Partnerships, in particular focusing on the researching, experimenting and implementation of ECVET principles and in VET practices. We have worked on projects which analysed vocational guidance practices and provided support to organisations offering VET and are now involved in Youth projects. The project´s ultimate goal is to have more VET students starting an internship which really matches their interest field, skills and competencies. Only if interns work at a company on the tasks that matches their own competencies, skills and interest, the placement will be a win-win situation for all parties involved. 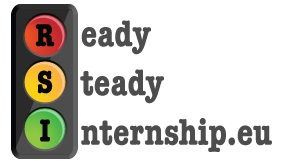 The Ready Steady Internship project helps the students to find the right kind of company. Our partnership concerns the collaboration of a guide of best practices and of a network of organizations specialized in the management of mobility programs for Persons in the Labour Market and the setting up of an ECVET recognition for our beneficiaries. The main aims of the project are to equip Secondary Schools and Vocational Training centres with competences and tools to manage and mentor international work placements experiences, integrated with their curricular activities; with competences and tools to recognise, certify and validate competences acquired by the participants to the international mobility project. In our project we work with a network of very experienced partners with regard to European project management, mobility activities and vocational education. Each partner cooperate with a broad network of regional host companies. According to the specific focus of each organisation different partner roles have been assigned. Parallel to the partnership, where we will case study the modularisation of these training courses, IVT mobility projects for learners/ trainees take place in compliance with the ECVET priority. Specifically, during the partnership the partners and representatives of their local network will have the opportunity to work on the definition of the training modules and competence areas and to accompany learners/ trainees in their learning stay abroad. The results of the project will be assembled and presented to the interested public in the seminars, which will be held in each one of the participating countries. Welcome – Languages for Hospitality, an LLP Leonardo da Vinci Transfer of Innovation Project, brings together specialised VET partners from four different countries – Portugal, Spain, France and Ireland – specialised in language learning and with close links to the hospitality sector.  The project aims to make a major contribution, in an entirely practical sense, towards economic development by creating a vocationally-oriented language learning platform for two fundamentally important areas of the hospitality sector, a sector which is considered to be a pillar of the national economy and a crucial factor of economic recovery in all four partner countries. 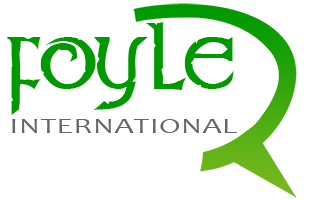 The iVOC Project international supporting network for vocational and academic guidance staff– is a Leonardo Da Vinci Partnership project involving partners from 10 European countries. iVOC will analyse current offers for vocational and academic guidance within the partner countries as well as in their relevant educational systems. Best practices will be sought and generated. The project will identify different kinds of methodologies, contents, added-value, etc. within different occupational fields and European countries. Thereby, the focus targets the transfer of knowledge, intercultural dialogue and the exchange of experiences to get new inputs for developing vocational and academic guidance offers. The project was awarded ‘Star Project’ on the European Shared Treasure database as it was considered innovative, creative, sustainable and can be transferred across all Educational platforms. Tourism Mobility for Culture is a 13 week programme where participants are given the opportunity to travel and gain work experience abroad. Leonardo da Vinci is part of the European education and training programme “Life-long Learning” and focuses on initial and further vocational education and training. Year after year, Leonardo da Vinci projects develop a multitude of innovative education and training products featuring tailored solutions for direct use in companies and at education and training institutions. Not all of these products are as well known as the European Computer Driving Licence developed by a Leonardo da Vinci project but most are of the same high quality. EuPQua ECVET is the continuation of the successfully implemented partnership “EuPQua – European Partnership for Quality in Vocational Training” but with a rather different focus –further improvement of mobility project’s quality by defining modules of learning outcomes in the following training courses: – Building services – Media Designer – Nursery school teacher – Cartographer Parallel to the partnership, where we will case study the modularisation of these training courses, IVT mobility projects for learners/ trainees take place in compliance with the ECVET priority. The results of the project will be assembled and presented to the interested public in the seminars, which will be held in each one of the participating countries. At the end of the project will exist clearly defined training modules based on learning outcomes, which can be assessed, certified and recognized in the origin country. The Speak Up! 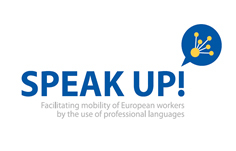 Project aims to improve workers mobility processes across Europe by means of facilitating the learning of the language of the destination country, focusing on the specific terminology that workers have to use in their respective professional fields. MobilityExcellence is a German-led Leonardo Transfer of Innovation project that is transferring and adapting a competence evaluation tool that helps to integrate ECVET principles into mobility projects in the hospitality and business administration areas. The MobEx project was chosen as a case study by the UK ECVET Experts team to appear on their website.